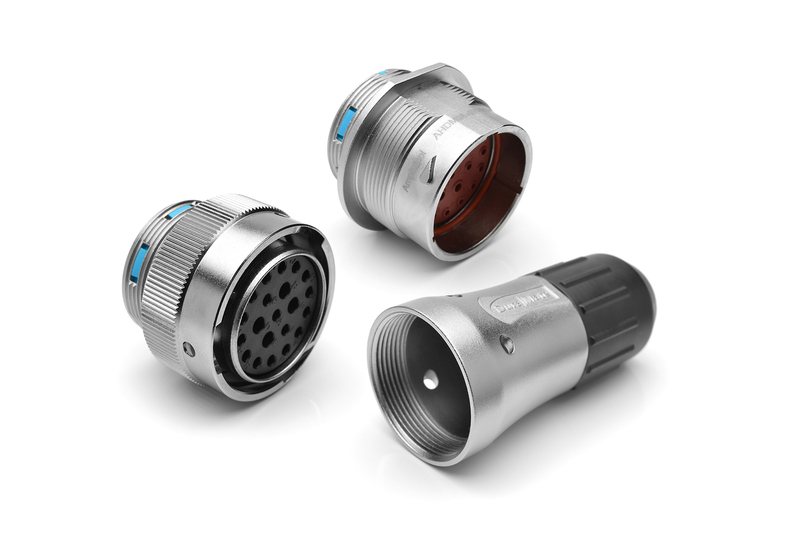 The DuraMate™ AHDM environmentally-sealed multi-pin metal circular connector series provides an economical quick-connect bayonet locking system manufactured to withstand the challenges and complexities of harsh environment off-road applications. Rated IP69k. While maintaining compatibility with existing shell size 24 industry standard designs, ease of use was exceeded through enhanced ergonomics using an easy grip coupling system and visual and tactile indicators ensuring reliable mating confirmation. Wire management improvements include two different back shell systems that thread onto the rear of the connectors to provide strain relief and additional wire seal protection. The low cost, tie wrap option and the fully enclosed back shell are interchangeable for specific application requirements. Its rugged high performance capability is ideal for panel mount or in-line heavy-duty applications such as commercial vehicle, agriculture, construction or marine installations.